The profession of forestry started to take hold in the United States in late 1800s. In 1889, George Vanderbilt hired Gifford Pinchot (pictured at right), a young forester educated in Europe, to manage the forest at the Biltmore Estate. It was the nation’s first professionally managed forest. In 1891 Congress passed the Forest Reserves Act, which created a reserve of 40 million acres of forestland in the United States. Six years later in 1897, Congress passed the Organic Act, which served as the basis for management of the newly created forest reserves. At the time, there were fewer than 10 individuals in the nation with any formal forest-management training, and all of them studied in Europe. That changed in 1898, when the Biltmore Forest School and the New York State College of Forestry at Cornell started forestry education programs. Two years later, the Yale School of Forestry began training professionals to manage this vital resource. Pinchot believed that high standards were essential to bring a level of dignity to this new profession that equaled that of other professions. On November 30, 1900, Pinchot asked seven professional foresters to join him in his office at the Department of Agriculture. The result of that gathering was the formation of SAF. SAF’s objective was “to further the cause of forestry in America by fostering a spirit of comradeship among foresters; by creating opportunities for a free interchange of views upon forestry and allied subjects; and by disseminating a knowledge of the purpose and achievements of forestry.” Pinchot served as the Society’s first President from 1900 to 1908 and then again from 1910 to 1911. As the Society grew, so did its programs. A national meeting, held outside Washington, DC, took place on 1914 in Ithaca, New York. The Journal of Forestry was published in January 1917 to bring the latest scientific information about forest management to its members. In 1935, SAF began the accreditation of forestry programs, which has expanded to four standards. In 1994, SAF created the Certified Forester program—the national certification program for foresters and other natural resources professionals. In 1995, SAF launched The Forestry Source newspaper to bring the latest news about forestry and the Society’s activities directly to members. 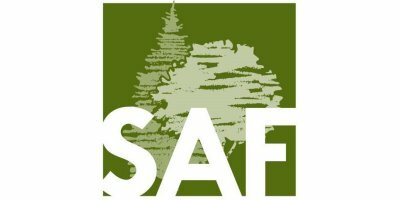 Today, SAF is a 12,000-member community that has held true to its original objective to bring forestry and natural resources professionals together and keep them informed about the latest advances in forest science and management. The SAF bylaws outline how the organization operates including membership, meetings, state societies and other state bodies, the board of directors, officers, committees of the board, advisory committees, the role of the CEO, and ethics. SAF Code of EthicsPreambleService to society is the cornerstone of any profession. The profession of forestry serves society by fostering stewardship of the world's forests. Because forests provide valuable resources and perform critical ecological functions, they are vital to the wellbeing of both society and the biosphere.